It involves making more ice. Many scientists agree that temperature in the Arctic region has been changing at an alarming rate. Apparently, the region is now warming at twice the rate of what their climate models have predicted just a few years ago. Last winter, when sea ice should have started regrowing, the opposite happened — temperatures rose to just slightly above freezing. The Arctic surprised us with successive record high temperatures and record low sea-ice mass as well. And they’re also saying that even the conditions set forth by the 2015 Paris Treaty will not be enough to prevent complete melting of the region’s ice which is estimated to happen by the summer of 2030. Stopping or at least minimizing fossil fuel burning is a good start. But it won’t nearly be enough to prevent catastrophic consequences, and other forms of intervention will be necessary to stop the Arctic ice from disappearing too quickly. Why exactly do we need to save the Arctic? For starters, the Arctic being iceless would mean a drastic disruption of life in the region, not just for the animals but the human residents too. Many species will become endangered; the habitat and the entire ecosystem might be completely destroyed. 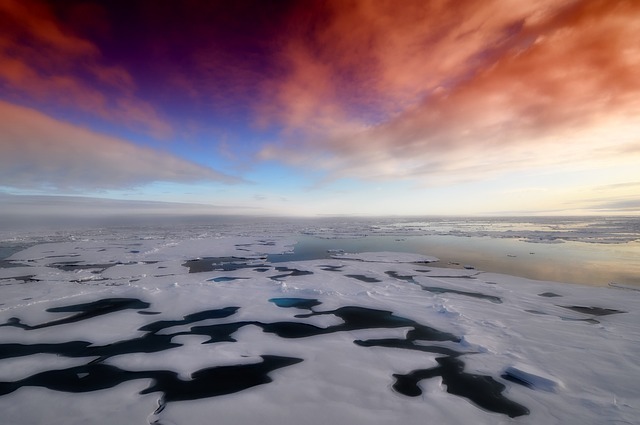 In terms of global impact, losing Arctic ice would cause the planet to warm even faster as there’ll be nothing left to reflect sunlight back into space. And as the ground absorbs more radiation, it will cause permafrost to melt, which will in turn release more carbon and other greenhouse gases into our atmosphere, making temperatures elsewhere rise. 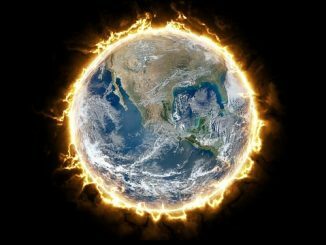 To complement worldwide effort to reduce carbon emission, a group of scientists from Arizona State University have come up with a proposal that some believe is bordering on the insane. They’re recommending that we refreeze the Arctic. How? By using wind turbines to power a floating pump system that will draw insulated water from deep under the Arctic up to the surface. Theoretically, this insulated water that will be spilled or sprayed onto the surface should freeze rapidly and thicken the ice cap. Based on the team’s estimation, 10 million wind-powered pumps drawing up water and spilling it out onto the surface of the ice should be able to add about 1 meter of it onto the existing ice surface over an entire winter season. And that would be enough. “If you could do that, it would reverse the trend of the loss of sea ice. You could restore it to what it was over 15 years ago,” said Steven Desch, a Professor of astrophysics and the lead author of the study. The project’s price tag is estimated to be around $500 billion per year for the next 10 years. It’s a staggering amount but it’s a small price to pay to save the Arctic. That is, if the plan actually works. The paper detailing the refreezing scheme has been published in the ‘Earth’s Future’ journal. Cap and trade hands an asset, the right to pollute, to a current polluter for free and then allows them to profit from the gift. A direct emissions tax places the tax benefit in the hand of those previously harmed. Cap and trade is stupid and anyone supporting it I advocating we subsidize those who have profited unfairly from externalities.